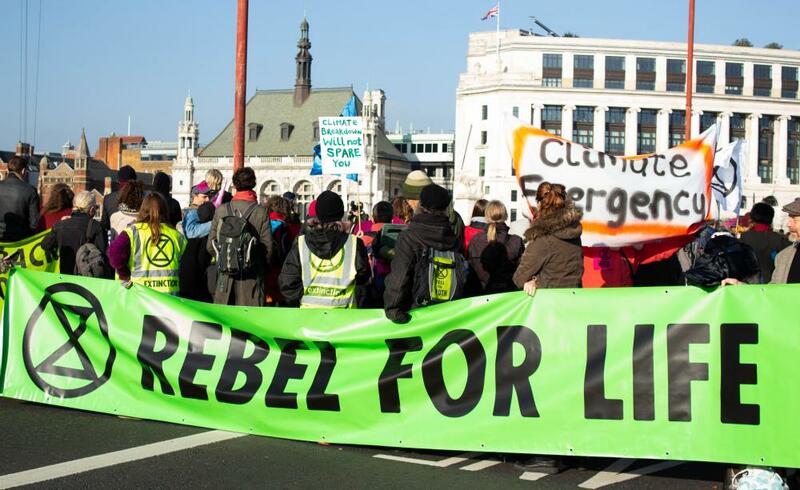 In their long-term vision, Extinction Rebellion believes that with a large enough series of actions, they can bring the government to a grinding halt. If that takes place, then there’s no longer any way for elected officials to ignore their demands. “There’s no other place that power can be marshaled from that can successfully overcome the power of profit and money and capital,” Gray said. Image: A protest march organized by Extinction Rebellion. Via The Ecologist.